Affordable Coquitlam condos are coming soon to The Burquitlam Capital real estate development brought to you by Magusta Development. Featuring approximately 189 condos and 4 townhomes for sale, The Burquitlam Capital Coquitlam affordable condos are priced from just $197,900, making them the best value for the Tri-Cities this year. The project site location is at 509 Clarke Road Coquitlam which is just steps from the Burquitlam SkyTrain Station along the Evergreen SkyTrain Line (coming soon). The new community will feature a 23 storey high-rise tower with great views of the city, mountains and water. 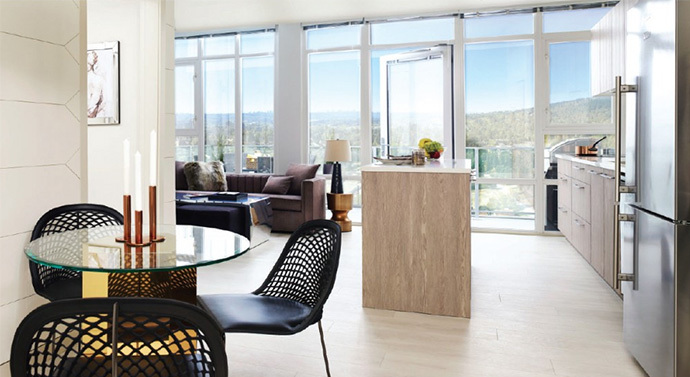 There will be many early buyer incentives for The Burquitlam Capital Coquitlam condos, which is set to become the most sought after Tri-Cities condo project this year. The limited time offers are coming soon, so make sure you speak with your agent in regards to presales launch dates (expected to be in May) as well as availability and pricing. For more details, you can visit www.burquitlamcapital.com (for info and a video) or simply register at the top of this page and we will send you more details as they become available. The Burquitlam Capital condos by Magusta Development is a must-see for any first time homebuyer, downsizer, upsizer or investor looking for convenience and value. This is The Last Great Place To Call Home! In addition to the 193 new homes for sale, the project will also feature 10,500 square feet of ground level commercial space. The plans call for a restaurant, coffee shop, and other services that will only increase the convenience and number of local amenities/services at your doorstep. In addition, The Burquitlam Capital real estate development will also feature exclusive resident amenities that include a fully equipped fitness gym, rooftop podium gardens, lounge space, meeting room, underground parking and high-speed elevators. 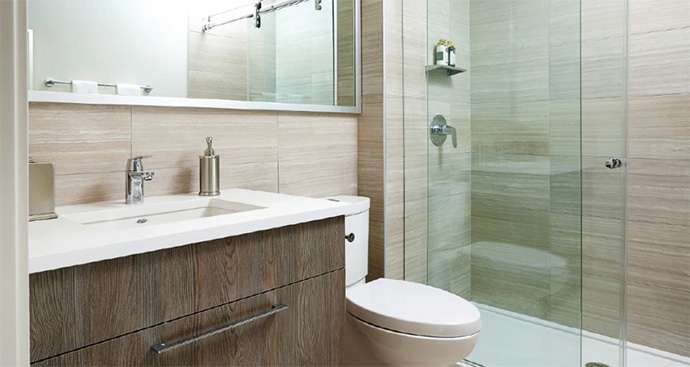 The modern living spaces are designed by award winning firm False Creek Design Group. The living areas will have contemporary laminate floors while the bedrooms will have 40 oz nylon cut pile carpeting. As well, the condos will have nine foot ceilings throughout and The Burquitlam Capital penthouses will have 10 foot over height ceilings! There is polished chrome hardware throughout and 24 inch front loading stacked Energy Star rated Blomberg washer and dryer in each home. The Burquitlam Capital condos will also feature beautiful kitchens with wood grain cabinetry (soft close doors and drawers too! ), lots of storage, polished Caesar Stone quartz counters, stainless steel double bowl sink, polished chrome Grohe kitchen faucet, Porter & Charles induction cook top, and modern stainless steel appliances including a Fulgor wall oven, built in Faber Inca Smart insert hood fan, full size GE dishwasher, Panasonic microwave and Blomberg fridge/freezer. For the penthouses and townhouses at Burquitlam Capital Coquitlam, you can expect to find a full size Blomberg dishwasher as well as a 30” high performance Porter and Charles induction cooktop, Perfect Insert 30 Hood Fan and a 30” Fulgor wall oven. The Burquitlam Capital penthouses will also feature air conditioning. The bathrooms will feature beautiful wood grain cabinetry with under mount sink over large storage drawers in addition to dual flush, low consumption European styled toilets. Other bathroom features include a large soaker tub (two bathroom floor plans will have one bathroom with a separate shower with unique rolling hardware that smoothly opens and shuts the large glass doors). The counters are Caesar Stone and bathrooms have polished chrome Grohe fixtures. Please note that these starting price points are subject to change at any time. Please talk to your agent or the sales team at The Burquitlam Capital presentation centre for more details surrounding price ranges and availability of floor plans. The proposed maintenance fees are approximately $0.35 per square foot. One storage locker is included with most home purchases. 2 parking stalls are included with the purchase of a three bedroom, penthouse or townhouse. The Last Great Place To Call Home! One bedroom homes are priced from just $197,900! Now that Lougheed, Burnaby and Port Moody have been extensively developed and housing prices seem beyond reach to many, there is still one great place to live: Burquitlam. Located just on the border of Burnaby and Coquitlam, Burquitlam real estate community is the last area to be developed with its own SkyTrain Station. And at the heart of it all, less than a three minute walk from the new Burquitlam SkyTrain Station is The Burquitlam Capital Coquitlam condo tower: that last great palce to call home, where everything you’ve been searching for is finally within reach. Be among the first to receive news, updates and your exclusive VIP Preview Invite to the Coquitlam Burquitlam Capital Condos today. At the heart of this growing city, just steps from Burquitlam Station on the Evergreen Line, there is a new community emerging—a place to call home. This is The Burquitlam Capital: a planned 23-storey development that’s right where you want to be. As housing prices rise and opportunities disappear, The Burquitlam Capital is that last great place where all you’re looking for is finally coming together. The Burquitlam Capital by Magusta Development is a new condo project at 513 Clarke Road Coquitlam (West Coquitlam/Burquitlam district) and it will feature a 23 storey mixed use high-rise tower with 189 condo residences and four townhomes priced from the low $200’s. The sales centre is anticipated to open in April 2016. Cool, curved architecture makes this a standout building. 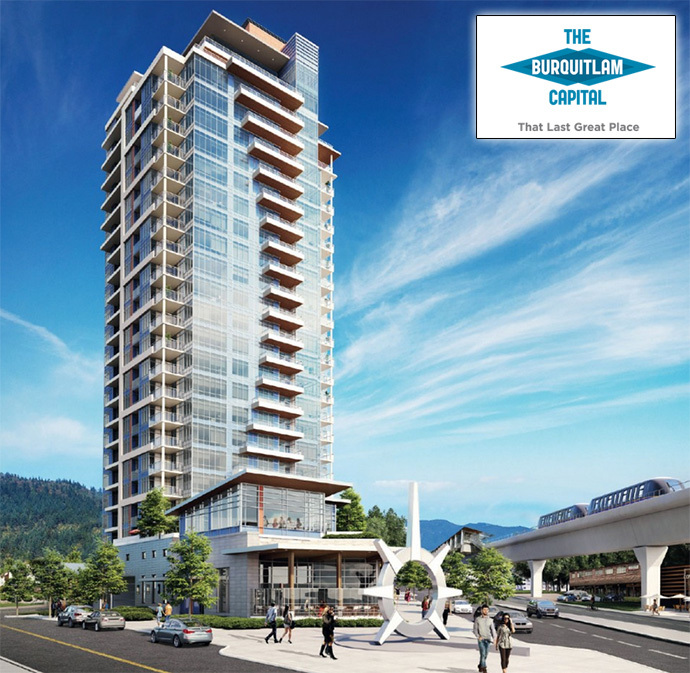 The Burquitlam Capital condos will be within walking distance to the future Evergreen Line SkyTrain station as well as beautiful parks and a diverse array of shops and restaurants.